Roger Bernstein is a Florida Board Certified immigration attorney with over 20 years of practice devoted exclusively to immigration and nationality law. He is the principal and managing member of EB-5 for Florida, LLC, a federally designated EB-5 Regional Center, and has substantial experience in EB-5 Investor related issues. He focuses his practice on advising high net worth individuals, developers, and regional centers in navigating the complexity of the EB-5 program, and has represented and counseled regional centers in various offerings valued in excess of $500 million in EB-5 capital. The depth of his experience in this area of the law is reflected in his authorship of articles in the national press and presentation of lectures throughout the world on acquisition of visas, EB-5/investor visas, and visa selection strategies. Roger spent six years with the U.S. Department of Justice serving as an INS trial attorney, sector counsel to the INS' Inspections and Investigations Divisions and INS Asylum Officer. 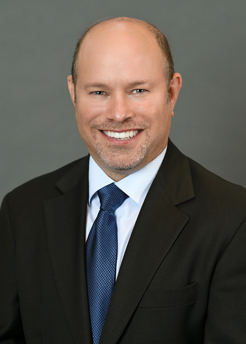 Prior to joining the firm, he co-founded Bernstein Osberg-Braun, LLC in 1998 and has since focused his practice on assisting immigrant investors, acquiring employment based visas, and complex immigration litigation. He has represented and acquired visas for professionals, publicly traded Internet and high technology firms, and diverse companies representing the health care, construction, hospitality, motion picture, aviation, fashion, sports, and entertainment industries, among others. He has also represented large- and mid-sized corporations on visa selection strategies and compliance issues. Roger has represented and counseled foreign governments, Fortune 500 companies, and large- and mid-sized privately held companies, family foundations, and home offices. He has also represented individuals at U.S. consulates in Asia, the Middle East, Europe, and throughout the Americas. His work includes the successful acquisition of non-immigrant visas and residency for hundreds of individuals who desired to live and work in the United States. He is also well-known for zealously advocating on behalf of Elian Gonzalez, and his related appearances on national television news programs, including Larry King Live, The Today Show, Good Morning America, Burden of Proof, CNN International, and many others. He speaks conversationally in Spanish and Japanese. What Lies Ahead for the EB-5 Foreign Investor Program?